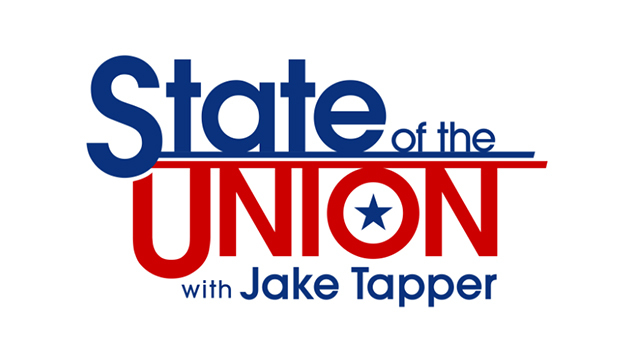 Today on CNN’s State of the Union,Hillary Clinton Campaign Manager, Robby Mook joins anchor, Jake Tapper to discuss repercussions of the recent DNC e-mail leak, Wasserman Schultz as head of DNC, Clinton’s running-mate choice and more. Mook responds to DNC email leak: [TAPPER] So, I have to ask, what is the reaction of the Clinton campaign to these DNC leaked e-mails suggesting that top officials, including the CFO there, were actively discussing ways to hurt Bernie Sanders in the primaries? [MOOK] Well, I think the DNC needs to look into this and take appropriate action, and I’m sure that they will. What’s disturbing to us is that we — experts are telling us that Russian state actors broke into the DNC, stole these e-mails. And other experts are now saying that the Russians are releasing these e-mails for the purpose of actually helping Donald Trump. I don’t think it’s coincidental that these e-mails were released on the eve of our convention here. And that’s disturbing. And I think we need to be concerned about that. I think we need to be concerned that we also saw last week at the Republican Convention that Trump and his allies made changes to the Republican platform to make it more pro-Russian. And we saw him talking about how NATO shouldn’t intervene to defend — necessarily should intervene to defend our Eastern European allies if they are attacked by Russia. So, I think, when you put all this together, it’s a disturbing picture. And I think voters need to reflect on that. Mook on repercussions of DNC e-mail leak: [TAPPER] Internally, at the DNC, what repercussions should there be? How would you feel if you were running Bernie Sanders’ campaign and you saw that the DNC, while claiming to be neutral, was actively talking about ways to hurt him? [MOOK] Well, as I said the DNC needs to take appropriate steps. And I’m confident that they will. I’m really proud of the primary that we ran. I was at the rules committee yesterday. The Clinton campaign and the Sanders campaign were working hand in hand to create a unified rules report. We worked in Orlando to create a unified platform. We’re really proud of that. I think you are going to see unity at this convention, in strong contrast to what we saw at the Republican Convention. And that — again, that is something that we’re very proud of. [TAPPER] You’re still not answering the question about what appropriate action would be. Terry McAuliffe, the governor of Virginia, a huge Clinton ally, has said something needs to be fired. Should somebody be fired? [MOOK] I’m going to leave that to the DNC, because I don’t have all the facts. Mook on Clinton’s vice presidential pick: [TAPPER] I want to play something from Bakari Sellers, a big Clinton supporter who is a CNN analyst, talking about the selection of Tim Kaine as — well, he wasn’t talking about the selection. It was before the selection was made, but it is relevant to the selection. Let’s play that sound. Oh, I’m sorry. It’s a read. It’s Bakari Sellers saying: “I don’t think there should be two white people on the ticket. That’s not the way to win with the nomination.” He said that in April. And here we have two white people on the ticket. [MOOK] Well, then what he said after we picked Tim Kaine, and he saw his speech, he said, what a terrific choice Tim Kaine was. [TAPPER] He’s pro-Tim Kaine. Obviously, Bakari is very loyal, but he he’s — he said that beforehand, so I can’t help but suspect that he’s disappointed, as, are we know, many Latinos that yet again we have an all-white ticket. [MOOK]I don’t think anybody is disappointed. As I said, Bakari said after watching that, he — after watching Tim Kaine, hearing Tim Kaine, reading about Tim Kaine, he couldn’t be more excited. Look, Tim Kaine is a progressive fighter. This is someone who was a missionary in Central America, helped create jobs there. When he came back and, after finishing law school, he was a civil rights attorney. He took on nationwide one of the biggest insurance companies in the country to fight against discrimination. He has been lauded across the board by organized labor, by the Sierra Club, by the League of Conservation Voters. He had a 100 percent record from Planned Parenthood. This is someone that the progressive community can be proud of. [TAPPER]On the subject of Planned Parenthood and abortion rights, take a listen to Tim Kaine during a campaign. This is a radio ad from 2005. LT. GOV. TIM KAINE (D), VIRGINIA: I support restrictions on abortion, parental consent for minors, a ban on partial-birth abortion, no public funding of abortions. Those are my values and that’s what I believe. (END AUDIO CLIP) [TAPPER] Those are his values, at least in 2005. Those are not Secretary Clinton’s values. [MOOK] Well, that — first of all, that was over 10 years ago. I think what’s important is to look at his record in the Senate. He had a 100 percent voting record with Planned Parenthood and other — the National Abortion Rights Action League as well. And he has said that he will stand with Secretary Clinton to defend a woman’s right to choose, to repeal the Hyde amendment. So, you know, voters can be 100 percent confident that Tim Kaine is going to fight to protect a woman’s right to choose. [TAPPER] So, his values have changed on that issue? [MOOK]That was over 10 years ago. I can’t, you know, comment on that ad, but voters can be 100 percent confident because of that 100 percent voting record with Planned Parenthood during his time in the Senate. Mook responds to Charlie Rose calling Clinton “sloppy” in regards to her e-mail scandal: [TAPPER] So, Charlie Rose said he said real sloppiness. Secretary Clinton said no. And then you have the evidence. James Comey, the FBI director, said it was real sloppiness. There is a real trust issue she has with voters. More than 60 percent of voters, according to the last poll, don’t think she’s honest and trustworthy. Aren’t moments like that part of the problem? [MOOK] Look, Secretary Clinton has said that this was a mistake, that she would do this differently if she could go back. And she’s been very clear about that. [TAPPER] She’s still misrepresenting — misrepresenting things. [MOOK] I think she was referring to his press conference that he gave, not necessarily the congressional testimony. But, look, what voters are looking for and asking about in this election is, who is going to fight to get this economy working for everyone, not just those at the top? We heard doom and gloom last week from the Republicans. We heard no specific plans about how Donald Trump is going to actually make people’s lives better. You’re going to see real people from across America on this stage over the next week talking about how Hillary Clinton did real things to improve their lives. She’s going to lay out specific plans to get this economy working for everybody. That’s the difference. That’s what voters really care about. JAKE TAPPER, CNN ANCHOR: I’m Jake Tapper at the Democratic Convention in beautiful Philadelphia, where the state of our union is exposed e-mails just published by WikiLeaks showing Democratic Party officials actively discussing possible ways to sabotage Bernie Sanders, even as they were insisting publicly that they were staying neutral during the primaries. The leaked e-mails are dividing Democrats just hours before they were hoping to showcase a united front with every major party player, including Bernie Sanders, scheduled to speak on behalf of former Secretary of State Hillary Clinton this week. We will also hear from her new vice presidential pick, Virginia Senator Tim Kaine, whom she introduced to a crowd in swing state Florida as a man of faith and family. HILLARY RODHAM CLINTON (D), PRESIDENTIAL CANDIDATE: Senator Tim Kaine is everything Donald Trump and Mike Pence are not. CLINTON: He is qualified to step into this job and lead on day one. CLINTON: And he is a progressive who likes to get things done. TAPPER: Joining me now is Clinton campaign manager Robby Mook. Robby, thanks so much for being here. Appreciate it. ROBBY MOOK, HILLARY CLINTON CAMPAIGN MANAGER: My pleasure. TAPPER: So, I have to ask, what is the reaction of the Clinton campaign to these DNC leaked e-mails suggesting that top officials, including the CFO there, were actively discussing ways to hurt Bernie Sanders in the primaries? MOOK: Well, I think the DNC needs to look into this and take appropriate action, and I’m sure that they will. What’s disturbing to us is that we — experts are telling us that Russian state actors broke into the DNC, stole these e-mails. And other experts are now saying that the Russians are releasing these e-mails for the purpose of actually helping Donald Trump. I don’t think it’s coincidental that these e-mails were released on the eve of our convention here. And that’s disturbing. And I think we need to be concerned about that. I think we need to be concerned that we also saw last week at the Republican Convention that Trump and his allies made changes to the Republican platform to make it more pro-Russian. And we saw him talking about how NATO shouldn’t intervene to defend — necessarily should intervene to defend our Eastern European allies if they are attacked by Russia. So, I think, when you put all this together, it’s a disturbing picture. And I think voters need to reflect on that. TAPPER: What evidence is there that the Russians were behind this in terms of the hacking or in terms of the timing by WikiLeaks? MOOK: Well, we need to let the experts speak on this. It’s been reported on in the press that the — that the hackers that got into the DNC are very likely by to be working in coordination with Russia. And, again, I think it’s — if the Russians in fact had these e-mails, again, I don’t think it’s very coincidental that they are being released at this time to create maximum damage on Hillary Clinton and to help Donald Trump. TAPPER: But it is a very, very strong charge that you’re leveling here. You’re basically suggesting that Russians hacked into the DNC and now are releasing these files through WikiLeaks to help elect Donald Trump. MOOK: Well, this isn’t my assertion. There are a number of experts that are asserting this. I think we need to get to the bottom of these facts. But that is what experts are telling us. Experts have said that it is the Russians that, in fact, went in and took these e-mails. And then, if they are the ones who took them, we have to infer that they are the ones then releasing them. TAPPER: Internally, at the DNC, what repercussions should there be? How would you feel if you were running Bernie Sanders’ campaign and you saw that the DNC, while claiming to be neutral, was actively talking about ways to hurt him? MOOK: Well, as I said the DNC needs to take appropriate steps. And I’m confident that they will. I’m really proud of the primary that we ran. I was at the rules committee yesterday. The Clinton campaign and the Sanders campaign were working hand in hand to create a unified rules report. We worked in Orlando to create a unified platform. We’re really proud of that. I think you are going to see unity at this convention, in strong contrast to what we saw at the Republican Convention. And that — again, that is something that we’re very proud of. TAPPER: You’re still not answering the question about what appropriate action would be. Terry McAuliffe, the governor of Virginia, a huge Clinton ally, has said something needs to be fired. Should somebody be fired? MOOK: I’m going to leave that to the DNC, because I don’t have all the facts. TAPPER: You’re talking about how this is going to be a unified convention. Aren’t you afraid that when Debbie Wasserman Schultz goes up there to gavel it in, that she is going to be booed by all the Sanders supporters? She — her speaking slot was taken away because of the scandal, correct? MOOK: Well, what — look, what I am looking forward to is how we have worked in partnership with the Sanders campaign. Senator Sanders has endorsed Secretary Clinton. Our campaigns have worked very hard to get a unified platform, to have unified rules. And we are going to celebrate that at this convention. And it’s something we are both very proud of. TAPPER: All right. Obviously, you are not going to answer the question about specifics. I want to play something from Bakari Sellers, a big Clinton supporter who is a CNN analyst, talking about the selection of Tim Kaine as — well, he wasn’t talking about the selection. It was before the selection was made, but it is relevant to the selection. Let’s play that sound. Oh, I’m sorry. It’s a read. He said that in April. And here we have two white people on the ticket. MOOK: Well, then what he said after we picked Tim Kaine, and he saw his speech, he said, what a terrific choice Tim Kaine was. TAPPER: He’s pro-Tim Kaine. Obviously, Bakari is very loyal, but he he’s — he said that beforehand, so I can’t help but suspect that he’s disappointed, as, are we know, many Latinos that yet again we have an all-white ticket. MOOK: I don’t think anybody is disappointed. As I said, Bakari said after watching that, he — after watching Tim Kaine, hearing Tim Kaine, reading about Tim Kaine, he couldn’t be more excited. Look, Tim Kaine is a progressive fighter. This is someone who was a missionary in Central America, helped create jobs there. When he came back and, after finishing law school, he was a civil rights attorney. He took on nationwide one of the biggest insurance companies in the country to fight against discrimination. He has been lauded across the board by organized labor, by the Sierra Club, by the League of Conservation Voters. He had a 100 percent record from Planned Parenthood. This is someone that the progressive community can be proud of. TAPPER: On the subject of Planned Parenthood and abortion rights, take a listen to Tim Kaine during a campaign. This is a radio ad from 2005. LT. GOV. TIM KAINE (D), VIRGINIA: I support restrictions on abortion, parental consent for minors, a ban on partial-birth abortion, no public funding of abortions. Those are my values and that’s what I believe. TAPPER: Those are his values, at least in 2005. Those are not Secretary Clinton’s values. MOOK: Well, that — first of all, that was over 10 years ago. I think what’s important is to look at his record in the Senate. He had a 100 percent voting record with Planned Parenthood and other — the National Abortion Rights Action League as well. And he has said that he will stand with Secretary Clinton to defend a woman’s right to choose, to repeal the Hyde amendment. So, you know, voters can be 100 percent confident that Tim Kaine is going to fight to protect a woman’s right to choose. TAPPER: So, his values have changed on that issue? MOOK: That was over 10 years ago. I can’t, you know, comment on that ad, but voters can be 100 percent confident because of that 100 percent voting record with Planned Parenthood during his time in the Senate. TAPPER: I want you to hear what Hillary Clinton said on “Charlie Rose” just a few days ago. And this is about something that she and Charlie Rose get into about what the FBI director testified, and then after the clip, we’re going to play what the FBI director actually said. Let’s roll that. CHARLIE ROSE, HOST, “THE CHARLIE ROSE SHOW”: He said it was sloppy. CLINTON: No, he did not. ROSE: He said real sloppiness. CLINTON: There’s ordinary accidents and then there’s just real sloppiness. So, I think that that is kind of real sloppiness. TAPPER: So, Charlie Rose said he said real sloppiness. Secretary Clinton said no. And then you have the evidence. James Comey, the FBI director, said it was real sloppiness. There is a real trust issue she has with voters. More than 60 percent of voters, according to the last poll, don’t think she’s honest and trustworthy. Aren’t moments like that part of the problem? MOOK: Look, Secretary Clinton has said that this was a mistake, that she would do this differently if she could go back. And she’s been very clear about that. TAPPER: She’s still misrepresenting — misrepresenting things. MOOK: I think she was referring to his press conference that he gave, not necessarily the congressional testimony. But, look, what voters are looking for and asking about in this election is, who is going to fight to get this economy working for everyone, not just those at the top? We heard doom and gloom last week from the Republicans. We heard no specific plans about how Donald Trump is going to actually make people’s lives better. You’re going to see real people from across America on this stage over the next week talking about how Hillary Clinton did real things to improve their lives. She’s going to lay out specific plans to get this economy working for everybody. That’s the difference. That’s what voters really care about. TAPPER: You say it was doom and gloom. The campaign of Donald Trump says it was just reality. Doesn’t the Democratic Party, doesn’t the Hillary Clinton campaign run a risk, if you go after the stark picture that Donald Trump painted, if you belittle it, don’t you run the risk of alienating people who are concerned about trade deals that sent their jobs away, illegal immigration, crime, terrorism? You don’t want to belittle the fears, the real fears that people have. MOOK: Well, look, and to your point, Jake, this economy is not working for everyone. It is rigged and it is only working for those at the top. And she’s going to address that. But you can’t just get up on a stage and make a bunch of accusations, lies, falsehoods, a bunch of platitudes. This election is about the people of America and about their future and about what a president is going to do for them. And Donald Trump didn’t talk about any of that. He didn’t talk about the future. He didn’t talk about specific plans. And you didn’t see a single real person get on that stage and talk about anything that Donald Trump has done to help them. That’s a problem for him. It’s great that his family supports him. And his kids did a great job on that stage, but that’s not enough. The next president has to actually have a real plan to help people. Hillary Clinton does. That’s what you are going to see. TAPPER: I mean, they were all people. I don’t know who is a real person and who is not, unless you’re suggesting that they were a bunch of robots, but OK.
TAPPER: Robby Mook, thank you so much. Congratulations on getting the nomination, and good luck at your convention.